The following list was compiled around 2010 by a librarian who had attended her first PNBA show the previous year. She very thoughtfully offered us this letter, in the form of a list, because she was interested in telling other librarians exactly why they would enjoy the shows. We have since edited and re-arranged her list, to eliminate some dated problems and to better explain some of the particulars. PNBA is even more aggressive now about encouraging librarians to attend our shows than we were when the letter was first written. We hope that you will find it encouraging. 1) PNBA offers a selection of educational sessions to rival anything offered at library conferences, including such sessions as Beyond the Kindle, Working with Stores on Author Events, Partnering with Your Local Bookstore to Boost Library Use, and others. 2) Attending the shows will NOT break your training budget! Your library can join PNBA for $175, and then as many as four people representing the library may attend the show for FREE. That's just $43.75 per staff member. Where else can you attend educational sessions, meet and greet more than 100 authors, new and famous alike, and tour the exhibits of hundreds of national publishers for that cost? Author meal events require an extra fee, to pay for the meal. 3) The shows are not open to the public. Librarians are invited as special industry colleagues. Everyone at the shows is a part of the book business, making the whole event a bibliomaniac's paradise. 4) Meet and chat with authors. 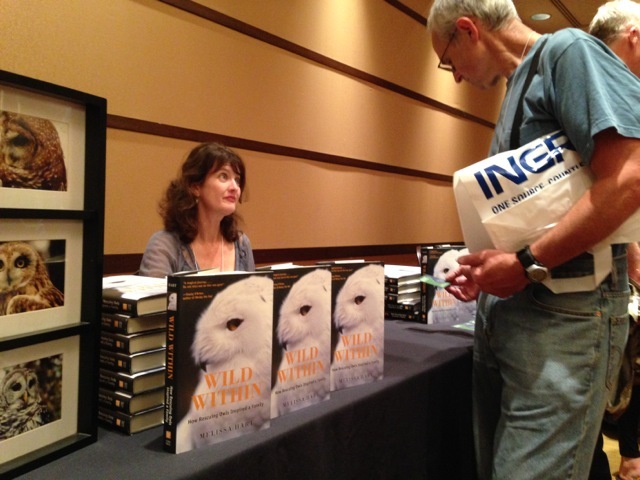 The Celebration of Authors lunch on the first day features ten newer NW authors. Each breakfast features four authors, all nationally-known. The Feast features exactly twenty authors, most nationally-known. The Nightcapper and Sweet & Greet are after-dinner events, each featuring at least twenty--mostly regional--authors. In all you will have a chance to meet more than 100 authors at any of our shows, and in most cases they will be giving away (compliments of their publishers) signed copies of their new books, or advance readers editions. 5) We're not just about adult books, or NW books, or novels. All genrés are represented, and the Breakfasts, for instance, always include at least one novelist, one childrens' book author, and one non-fiction author. 6) The shows can be of huge value to collection development librarians. Hearing the authors speak and touring the exhibits will give you a heads up as to what's new and forthcoming. Your patrons will be most impressed when you get books of local interest in your library before they are reviewed in your local paper. 7) BOOKS, BOOKS, AND MORE BOOKS! Not only do the authors give away books, but many exhibitors do, too! Exhibitors usually give away advance readers copies (ARCs). If you want to collect books at every event, PNBA requires that you purchase a special BINC badge for $30, with all the money going to a fund to "insure" booksellers against catastrophic financial needs. 8) Networking is the word. You will meet a lot of independent booksellers from all over the NW who are interested in working with their local libraries, and they love talking about the business with all their colleagues, including librarians. 9) PNBA staff have been instructed to treat all librarians as full value members, and you will be treated as well as any of our bookseller members. 10) Almost every year we offer something new and special. But you have to attend the shows to see or participate in it! Won't you join us? ?